Sorry... the 2016 Audi Q5 hybrid is no longer being sold as new. The Q5 Hybrid, Audi's first hybrid in the U.S., comes with an electric motor powered by a lithium-ion battery pack and a turbocharged 2.0-liter four-cylinder gas engine. Total system output is 245 horsepower. 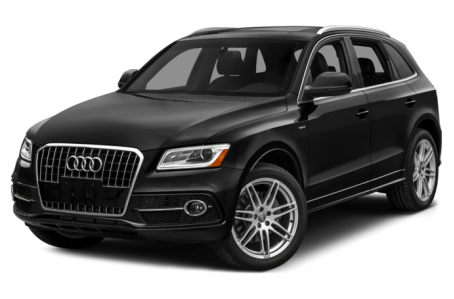 Unlike many hybrids, which use continuously variable automatic transmissions, the Q5 Hybrid uses the same eight-speed automatic as other Q5 models. The Q5 competes in the crowded compact luxury crossover segment that includes the Acura RDX, BMW X3 and Volvo XC60. It seats five and comes with standard all-wheel drive. In addition to four-cylinder and V-6 gas engines, the Q5 offers a gas-electric hybrid system or a turbo-diesel engine. There's also a performance-oriented SQ5. A panoramic moonroof is now standard, and the Audi Connect information system is included with the Navigation Plus Package. The Technology Package available on Premium Plus models now includes a Bang & Olufsen sound system. 1 of 1 (100%) consumers said they would recommend this vehicle to a friend.